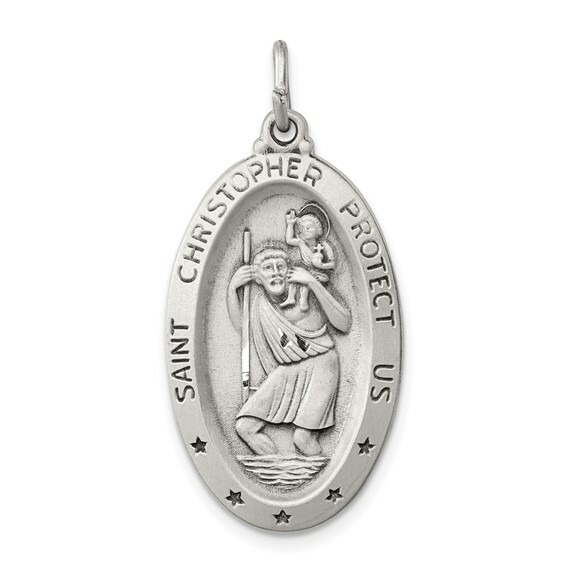 Solid sterling silver St Christopher medal is diamond-cut. Inscription: SAINT CHRISTOPHER PROTECT US. Chain not included. Weight: 4.69 grams. Dimensions: 1in x 5/8in. This narrow medal is as long as a quarter and as wide as a dime. Made in the USA.